This sweet and small meeting room is designed for your smaller groups. It is right next to our restaurant, which is the main benefit of using this room. If you have a very tight schedule you can get all the food and drinks for a coffee break or a meal break inside your meeting room. If seating doesn't allow we can arrange coffee and other drinks to be placed on a separate table that will not interfere with the event. We weren't too surprised to see that this terrace is very popular with our guests, but what surprised us is the fact that you can almost never find a free table on this terrace during summer. Through most of the day it is in the shadow, catching some sun only before the end of the day, when you need it the most. 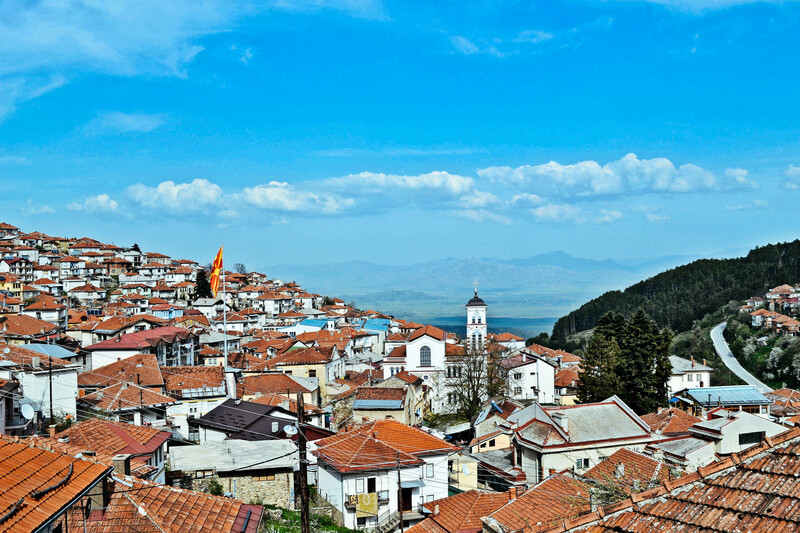 The rest of the day it looks into the beautiful town of Krusevo. It is very intimate, and very cool through the extra hot summers in Macedonia. You feel like you are seating at the most quiet and calm place in the world.